The Imperial Elven Empire of Ironwood. I'm sure we've all heard of the Iron Wood imperium, infact I'm almost 100% certain everything I say will have been heard once or twice before but no encyclopedia on Darasum could be complete without one of the most powerful Empires. The Ironwood Imperiums is hands down the oldest Kingdom in Darasum stretching its origin back to even before the conception of Sithis and far before the Angels desended apon to the mortal plain. The hight of their power was during a time in which the gods had turned to fighting one another and left a blind eye to the world leaving an opening for Imperial forces to masacre surounding Human and Dwarf kingdoms in a xenophobic crusade against all of the "Second Born". Fortunately the Gods' turned their eye back to the world and saw the horror that was being commited in falsery and their names so they sent apon the world the Angels to stop it. Of course we can't really say it was just the Angels and not an Alliance formed between nations that kept the Empire out of Northern Darasum but one thing is for sure the Gods' sure frowned apon Imperial conquest under the Elves of Ironwood. Ironwood infact isn't actuall wood its a large dessert with caves and caverns underneath inhabited by "Drow" a different species of Elves who learned espionage and war tactics from the gods themselves in the early days' as a means of protecting themselves from the Dread. So now the Imperium is at a halt in its expansion and dead in its movement north, other then the ocasional raid on the Flat Land Elves. The Elves have a strange culture, a very racist one based on principles of genetic superiority and honour. Everything done by the elves is done in the name of Honour for the Emperor or their family. The Ironwood Imperial army is famous for it's use of two unique magics those of the geomancers and starcallers. Each and every geomancer and starcaller take positions of command and hatch their own armies and schemes they are extremely powerful wizards/generals who most of whom have never seen defeat. The Geomancers are mages with the power to distort and control the continent via the rich mana reserves underground so one minute your army could hold the high ground and the next the geomancers have warped it into a canyon and you're being fired upon from all sides. 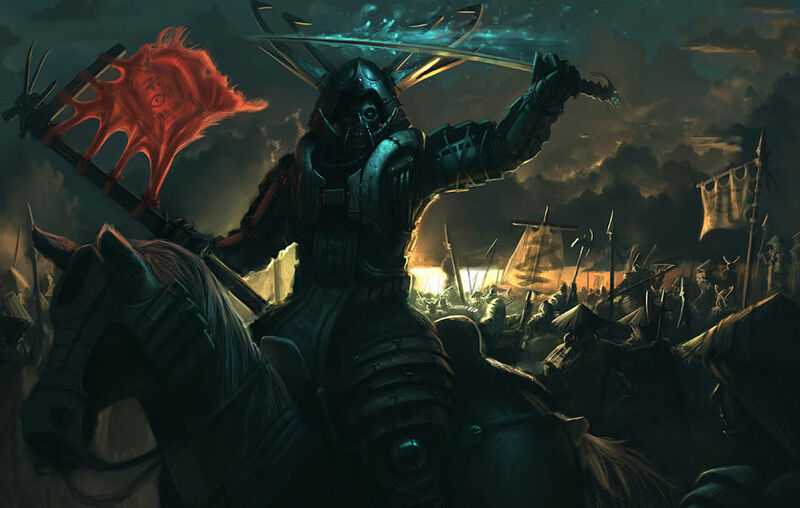 Geomancer generals typically use a strong mix of archers and the infamed heavy infantry - Steel cloaks. The Starcallers on the other hand have very different powers, they can warp dimensional space and teleport large troop movements through gateways while also having the ability to project on mass armies of illusions using advanced and energy draining astral projection. In fact most Starcallers build their own armies from well most disturbingly their own mind, without even using another single being. Of course this makes them extremely vulnerable. 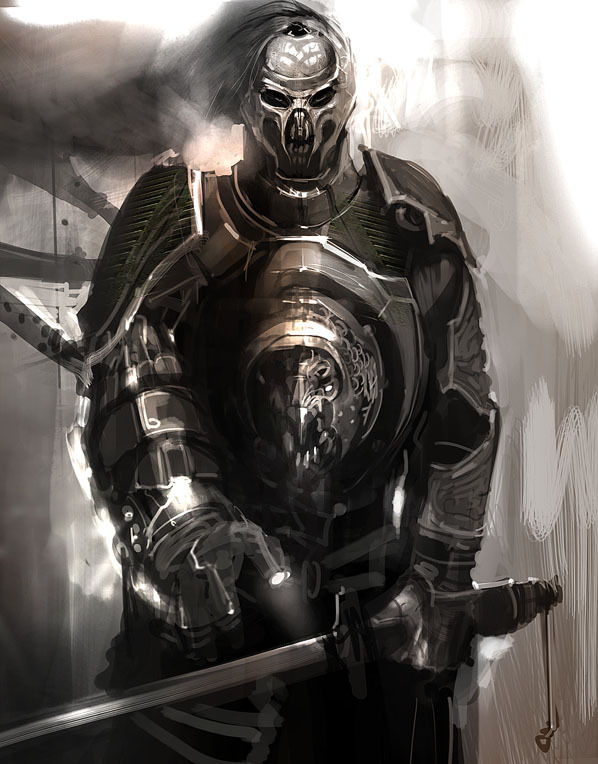 The Steel Cloaks are another one of the Imperiums elite military orders, they're made up almost entirely by members of the nobility choosing to fight with two large steel swords and they cover themselves nearly head to toe in heavy armour; acting as the Imperiums finest trained soldiers and shock troops. However each Steel Cloak takes an oath of honour to never engage the enemy on uncertain terms preferring one on one combat to rank and file- which often the not makes them extremely vulnerable to flanking and pincer maneuvers. The Imperium is a nasty, zealous and hateful super power, to be feared and respected. It's said that the combined land under Imperial control doubles that of the every other nation combined, if a war were to happen again between the North and the Imperium.. Well I'm not sure it's one we could afford. I've only ever traveled slightly across the border and in the brief few hours I spent in their territory my guards and I had already engaged them in six skirmishes. They're a force to reckoned with, I just hope that when the time comes for us to fight the Imperium that we stand united against it. This is where the facts and places in the Munit Plains are recorded.